And here is a new Gameview digest! Let’s see what has next week prepared for us. 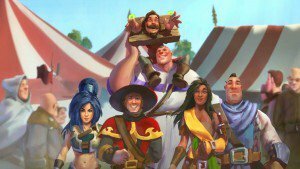 Champions of Anteria is a strategy with RPG elements from Blue Byte. The game will take us to Anteria – a fable land, captured by hordes of monsters. There are five heroes available for us in the game. Each charachter is connected with one of five elements: water, fire, nature, electricity and iron. Only three Champions are to be selected to decide who will bring freedom to Anteria. 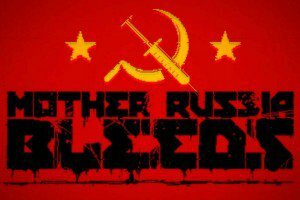 Mother Russia Bleeds is an ultraviolent action that can be completed in a party of three friends. Action takes place in alternative USSR. The story is concentrated on a team of street fighters, that will have to fight criminal authorities by any means necessary. Seasons after Fall is a 2D puzzle-platformer adventure, the main charachter of which is a wild fox. It posesses an unusual gift of changing times of a year, which helps him on his journey in the game world. Protagonist can use his abilities to overcome different obstacles and interact with animals.